Seekers of Spirits Paranormal is a Perryville, Maryland (Cecil County) based organization that is a highly respectable professional team of investigators that consists of Mediums and Sensitive’s. Seekers of Spirits can perform a house or business location cleansing if the case warrants one. Seekers of Spirits Paranormal has many cases on their resume with over 65 years of combined experience of investigating. We serve Maryland and the Tri-State area and are willing to travel wherever we are needed. Seekers of Spirits Paranormal does not charge a fee for any services. Seekers of Spirits Paranormal respects clients rights to privacy and will honor any requests to keep your case confidential. Seekers of Spirits Paranormal is available for emergency cases and can respond within 12-24 hours, after notification is received. Seekers of Spirits Paranormal is a scientific based organization looking for answers. Seekers of Spirits Paranormal has an array of equipment arranging from Digital Video Recorders, Thermal Imaging, Voice Recorders, Electro Magnetic Field Detectors, and Various Experimental devices. People associate the term "Paranormal" as only dealing with hauntings and ghosts but the Paranormal can also be defined as things very strange and not able to be explained by what scientists know about nature and the world . It is events or phenomena such as telekinesis or clairvoyance that are beyond the scope of normal scientific understanding. Paranormal activity is an encompassing term that includes not only ghosts and hauntings and demonic activity, but also other unexplainable phenomena such as unidentified flying objects (UFOs) and extrasensory perception (ESP), to name just a few. As Paranormal Investigators or Ghost Hunter's we are hoping to explain the unexplainable, such as... are ghosts/spirits real? Do some souls actually stay earth bound after death? Basically the big question is, is there really life after death or can all these phenomena's just be scientifically explained away? This will aways be a subject of controversy. Seven Signs of Paranormal Activity. Recognizing the signs of paranormal activity is the most important step in resolving issues caused by unknown entities. Every case is different and your experience is likely to differ from that of your neighbor or friend. There are some common activities that paranormal investigators and researchers believe to be indicators of existing or ensuing paranormal activity. # 1. Phantom sounds can take the form of voices, music or repetitive noises that occur at regular intervals. The characteristic sound of footsteps in the night, laughing, crying or music that occur at regular intervals are attributed to a residual haunting. Intelligent or inhuman spirits may create sounds to get your attention or to communicate with you in some way. You may experience the sounds of knocking, tapping or scratching in the wall or loud crashes and bangs with no identifiable cause. 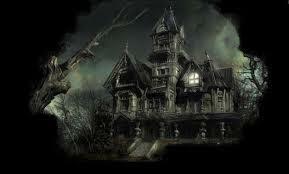 Each is characteristic of specific types of hauntings. # 2. Phantom smells may signal the presence of a spirit. Smells may accompany a residual haunting, often reported as the telltale perfume worn by the deceased. The scent of a cigar or other scents associated with the deceased may suddenly appear at certain times or in particular locations. Inhuman spirits may emit a foul odor before or during a manifestation. # 3. Cold spots with no physical reason often accompany hauntings. The theory is that spirits need energy to manifest and draw energy from the surroundings, resulting in an area colder than the surrounding air by as much as 20 to 40 degrees. The cold spot seldom remains in one area for a prolonged period and may precede a manifestation or other paranormal activity. # 4. Unusual physical sensations may signal paranormal activity. Dizziness, light headedness, a feeling of oppression or pressure on the chest, or nausea may suddenly become overwhelming when a spirit is present. Other physical sensations include the feeling of being touched, the feeling of being watched, hair standing on end or extreme apprehension. # 5. Electrical interference may occur either during or before paranormal activity. Lights may flicker or fail, televisions and radios may suddenly turn on and off and appliances may start up on their own. Doorbells may ring at odd times, batteries often suddenly drain and equipment like cameras and recorders may fail only to resume working later as though it never happened. # 6. Physical manipulation of objects is often one of the most frightening signs of paranormal activity. Doors and windows may suddenly slam shut (even when there is no draft present), cupboards may open and close without cause and objects may be hurled from their original position and land in the middle of the floor. In cases of poltergeist or inhuman hauntings, furniture may be moved, pictures on the wall may be rearranged and items may be stacked or piled in unusual places like the center of the floor. In less severe cases, common objects like keys, books or your remote may disappear and reappear in another location. # 7. Full body manifestations (or apparitions) of a spirit or entity in a recognizable form are the hallmark of paranormal activity. For many, these may be the first or only sign. Because it is difficult to dismiss or attribute to other causes, a person who observes a manifestation is generally convinced that what he sees is real. Manifestations may take the form of a human, animal or unknown beast that may or may not be aware of your existence. In the case of residual ghosts the image has been imprinted on the environment, usually due to a traumatic or emotionally charged event, and replays at regular intervals whether you are present or not. This ghost may appear in the form of a loved one, leading observers to believe their loved one is visiting. The residual ghost cannot interact with you and is unaware of your presence. Intelligent ghosts may manifest at any time as they attempt to communicate with you in some way. Intelligent spirits are believed to be the spirits of those who have passed on who have unfinished business to attend to on earth. They may be confused souls who are unaware of their passing or may not know how to leave this plane and go to the next. Intelligent ghosts may seek human assistance to complete tasks or simply to find their way to the light. Inhuman spirits may take the form of beasts or appear as demon-like creatures. These spirits never existed as humans and are generally angry or destructive as they attempt to frighten you. It is relatively rare, but these spirits do have the power to inflict harm to humans. Shadow People are thought to be caused by spirits that do not have enough energy to manifest fully. These may be fleeting images crouched in corners or near closets, or may be free floating. The characteristic shadow person or shadow man seen lurking in dark areas has been reported by many. Whether or not the shadow man is the result of human haunting is uncertain, but some theories suggest he is from another dimension or even alien. If you or someone you know is experiencing signs of paranormal activity, the first step is to determine if there are any other possible causes of the phenomenon. Investigate the occurrence looking for natural causes of shadows, lights and sounds. Check doors and windows to see if they swing open in response to drafts or other household activity. A vibrating dryer in the next room may cause dishes to rattle or pictures to fall. Lights from passing cars, or pedestrians crossing in front of a streetlight, may cast unusual shadows that appear to move on their own. Flickering lights and electrical disturbances may be the result of faulty wiring. Eliminate all known sources before jumping to the conclusion that what you are experiencing is a paranormal event.